If you don’t already know, prayer is a huge deal at Open Doors. In just about every article or social media post you read from us, we ask you to pray. First, there is power in prayer! Through our prayers, we are able to call on the name of Jesus to bring change in places we cannot go, places that are absolutely desperate for the hope of Christ. While it’s a powerful thing to have the opportunity to meet our brothers and sisters in person, an overseas trip is not always possible. (That’s why we partner with indigenous churches in more than 60 countries—to have a physical, on-the-ground presence). But we can be with our brothers and sisters when we pray—petitioning our Lord and Savior to meet them right where they are. We can intercede, asking that Christ would protect and strengthen them to stand strong in the eye of their storms. Second, our persecuted brothers and sisters ask for our prayers more than any other form of support. We continue to hear from our field reps who meet with our brothers and sisters facing dire situations that their first request is, “pray with me.” Notice I said, “with me.” These believers want us to pray with them—not necessarily for them. Vang Atu*, a 28-year-old father to two kids, was the first Christian convert in his village in Vietnam. Through his passion to share the gospel, four families in his village came to Christ. As a result, his house (where his family and others met for worship) was destroyed. He and his family were forced to leave their village. Vang’s request: “Pray that I will never give up in believing in Jesus until I meet Him in Heaven.” Read his story and watch raw footage. Vipur, a house church leader in India, faces consistent persecution, including a recent attack that left him fighting for his life. He begs for Christians to pray with him: “Please pray for me,” he says. “Pray that I will recover fully; that’s my deepest wish. 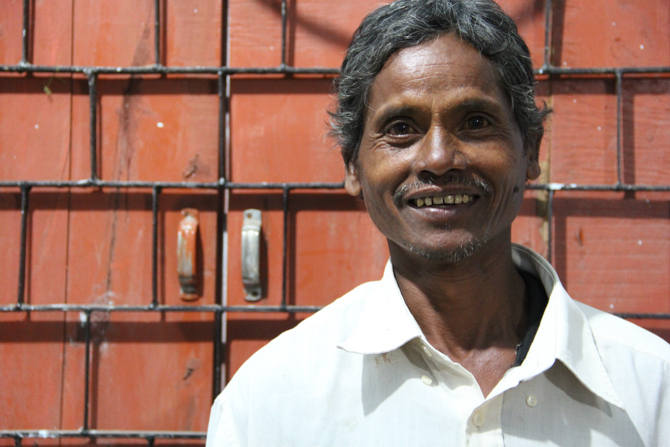 I want to be able to do what I did before the attack and even more.” Read Vipur’s story. This month, we invite to join us in praying with the Church in India—a nation that has seen persecution grow at an alarming rate. The world’s second-most-populous country went from #25 on the 2015 World Watch List to #11 on the 2018 WWL. Our prayer is that as you begin to learn about and pray fervently for these brothers and sisters—asking God to move over this nation—your own personal prayer life will deepen and grow. Through prayer, we tap into God’s heart for His people—and for our own lives. Scripture is clear that the Lord hears our petitions and answers. I pray that we will each go before the Lord, believing He will work in India to bring our brothers and sisters through their persecution. And that through this adversity, the Lord would continue to advance the growing Church in India and draw more people to Him! Sign up to receive your FREE 30-Day India Prayer Journal here.